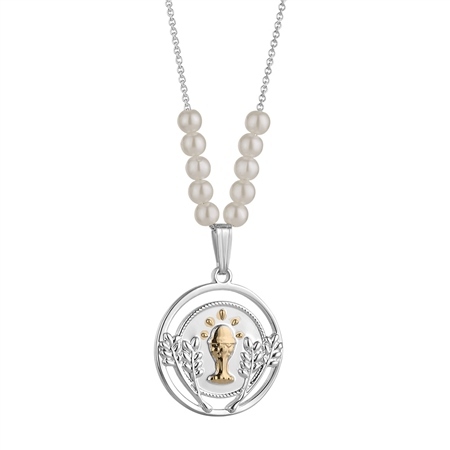 This dainty chalice medal suspended on a delicate beaded chain is the ideal gift for any young girl celebrating her first communion making it the perfect keepsake from her special day. Silver and gold plated First Communion Round pendant with a protective anti tarnish layer, presented in a Newbridge Silverware gift box. The medal is 20mm in diameter and chain is 406mm.